Since the second half of the twentieth century, Lifelong Learning (LLL) has become a fashionable mantra, a political slogan, and an active tool to stimulate economic growth and foster social cohesion. However, where does its dominance lie? According to Rogers (2006) LLLs main success is that it has predominantly achieved to become mainstream, as it provided a convincing rationale for embracing the natural learning process which continues unifying education into a common process, challenging the distinctiveness of educational sectors, and acknowledging that learning takes place in different contexts, thus relocating learning in both formal and informal settings. Thence, recent conceptualizations of LLL, under the universally rising awareness that learning is but an integral part of our everyday lives, and tends to continually expand, accommodating the multitude of types, sites, practices or modes of learning, both intentional and incidental. On these grounds, this book has been conceived to explore contemporary concepts, practices, benefits and challenges associated with LLL at formal, non-formal and informal levels. How LLL is currently perceived? What are the “regimes of truth” LLL is informed by? What are the influences, constraints and impact of the diverse LLL sites and practices? What are the effects on learning and learning outcomes? What are the implications for policy making, as well as for the development and implementation of LLL initiatives? These are some indicative inquiries which guided the structure and the selection of themes in the present volume. Furthermore there has also been an effort to reach for multiple perspectives from different nations around the globe. The book is structured around two principal axes (theory-based and research-based studies) so as to provide in depth insights into debates and challenges that revolve around LLL, whilst combining theory and empirical research in a dialectical fashion. It may thus be of particular interest to a wide range of audiences — such as researchers, policy makers and practitioners — who wish to get an international perspective in LLL. This occurs through chapters that prompt reflection, showcase innovative professional practices and provide impressive scopes of field research. 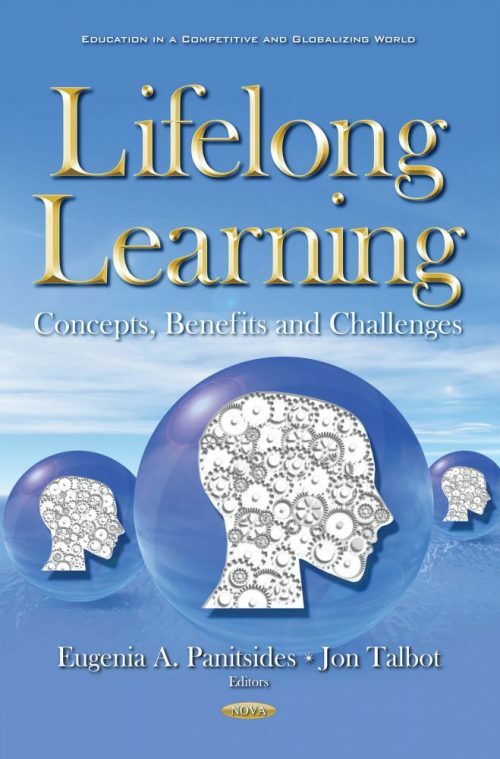 Lifelong Learning in the European Union. Training the Unemployed: Panacea or Sisyphus Syndrome? Audience: Educators and policy makers concerned with adult and post-compulsory education.